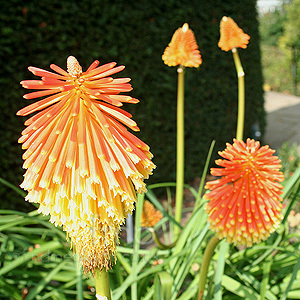 Cultivation tips: Plant Red Hot poker in any well drained fertile garden soil, avoiding heavy clay or wet soils, which can cause rotting off during the winter months. Plant in a sheltered sunny position in the garden for best results. Divide congested material and replant plant in autumn; cut back dead foliage in autumn and mulch every few years to improve soil fertility.